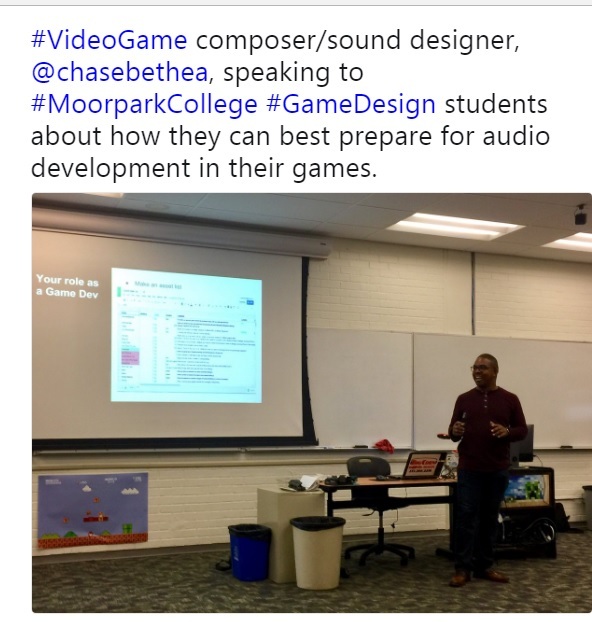 Today I was asked by Tim Samoff who teaches the Game Design course at Moorpark College to come and give a guest lecture. I was super honored to be called back after just speaking last September 2017! Every talk I do a little differently. This time around I spoke about what it is like to work with game audio professionals, the tools we use, some of our workflow and process as well as how they can help us help them. It is always a pleasure to go and speak there. I have so many fond memories and feels like home.